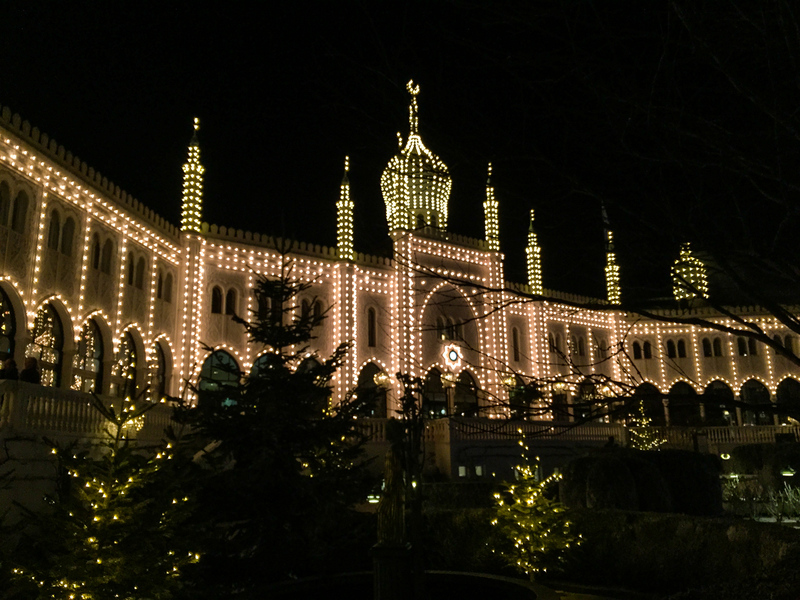 Wander through the best Christmas markets in Copenhagen sampling mulled wine and roasted almonds, marvel Tivoli in its Christmas gown and houses wrapped in crazy, golden lights. 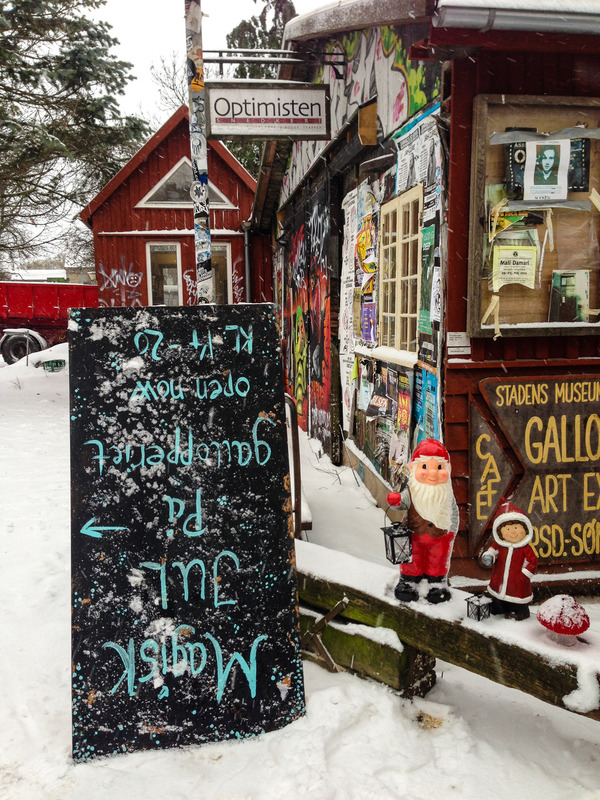 Freetown Christiania’s Christmas markets bring alternative vibes to your winter visit to Copenhagen. 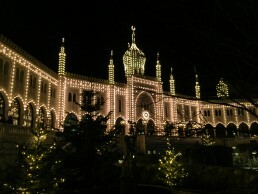 One promise: Danish Christmas beers lighten up even the most cynical Christmas tourists. 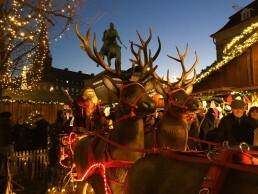 Browse our top ten things to do in Copenhagen around Christmas time to catch the spirit of Yule! 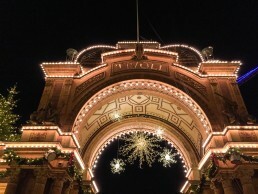 You just cannot miss Christmas festivities in Tivoli! 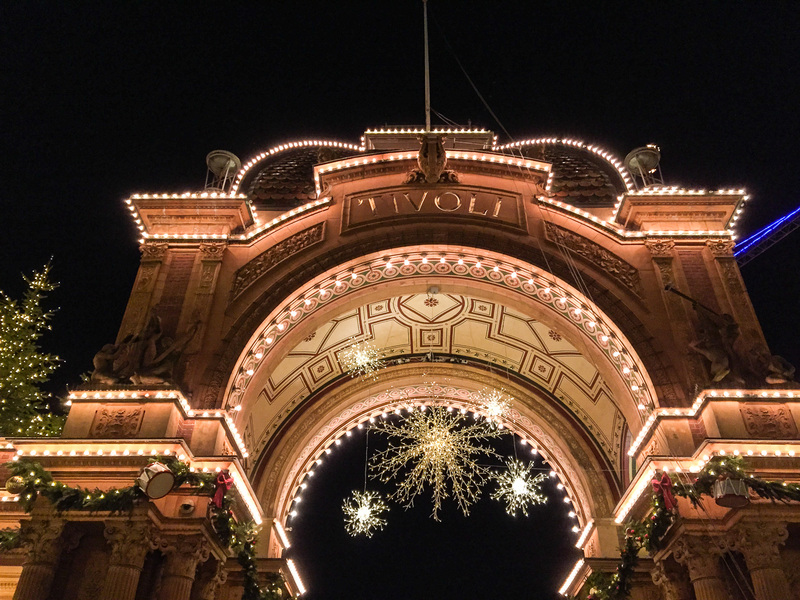 In 2018, Tivoli Gardens Chrismas Market is open from 17th of November until the end of December. 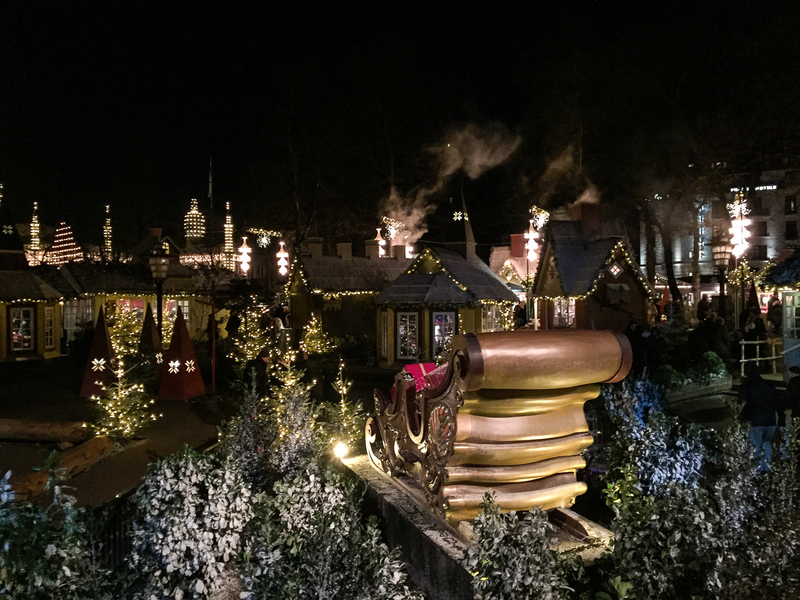 To create a true Nordic Christmas atmosphere, Tivoli Gardens are filled with small, colorful wooden houses, snowy trees, and sleighs scattered around the gardens. 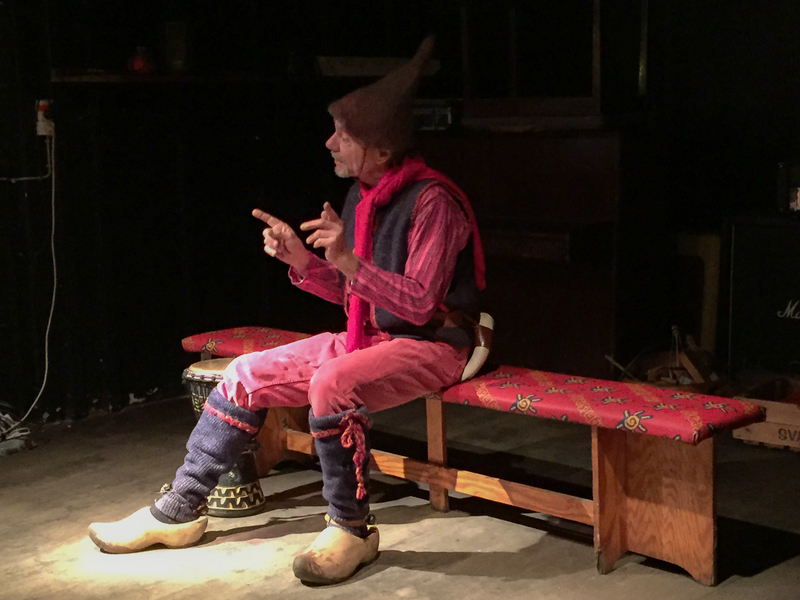 Say hi to Father Christmas, who waits for kids in Pantomime theater, and just wander around awestruck. The colorful lights leave you breathless, and chilly air might chase you to some of the idyllic, warmed terraces. 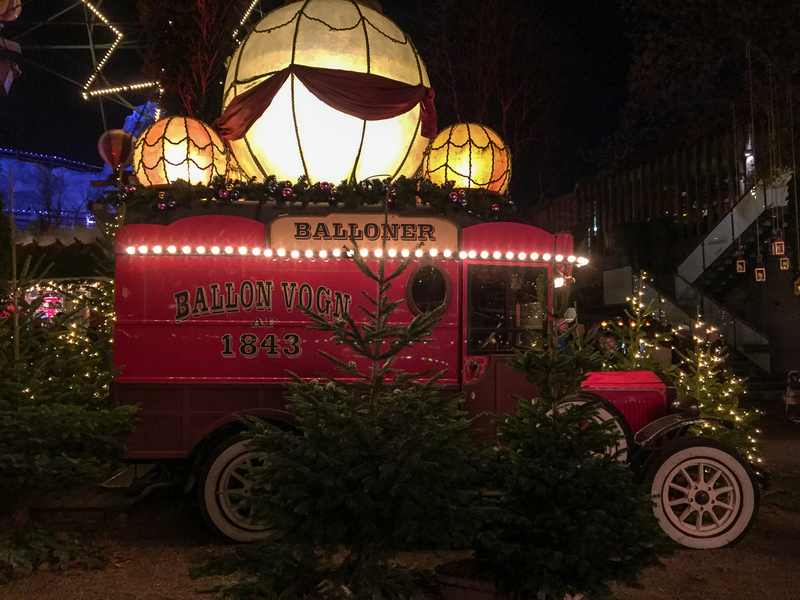 Nowadays, Tivoli Gardens Christmas Market is without the doubt the most popular Christmas market in Copenhagen – and the favorite of tourists and many locals alike. Nyhavn Christmas market is considered the most iconic Christmas market in Copenhagen. Probably because the picturesque old harbor is a perfect setting for soaking in the Christmas atmosphere. 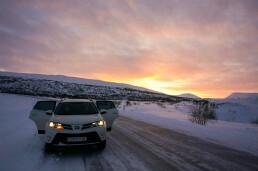 Although restaurants and terraces are overly touristic, it’s hard to beat the views – and picture opportunities. Walking by the Nyhavn waterfront is a Christmas time must for locals, as well. In 2018, Nyhavn Christmas market is open from the 9th of November until 23rd of December. If you still haven’t tasted Danish gløgg (mulled wine) and æbleskiver (Danish doughnuts), Højbro Plads’ Christmas Market is the place. 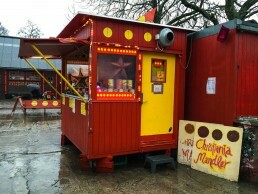 Stalls have delicacies from mustard to Spanish prosciutto and bratwurst. 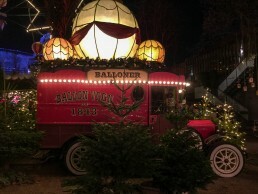 This Christmas market has overall kind of German feel. Højbro Plads (translates into High Bridge square) is right in the center of Copenhagen, so you don’t need to make a detour for quick Christmas market visit. It’s a perfect spot to escape the nearby Christmas shopping madness of Strøget. In 2018, Højbro Plads Christmas market is open from 6th of November until 22nd of December. If you still have the energy, there’s one more treat nearby: H.C. Andersen Christmas market at Kultorvet Square (open 16.-21.12.2018). 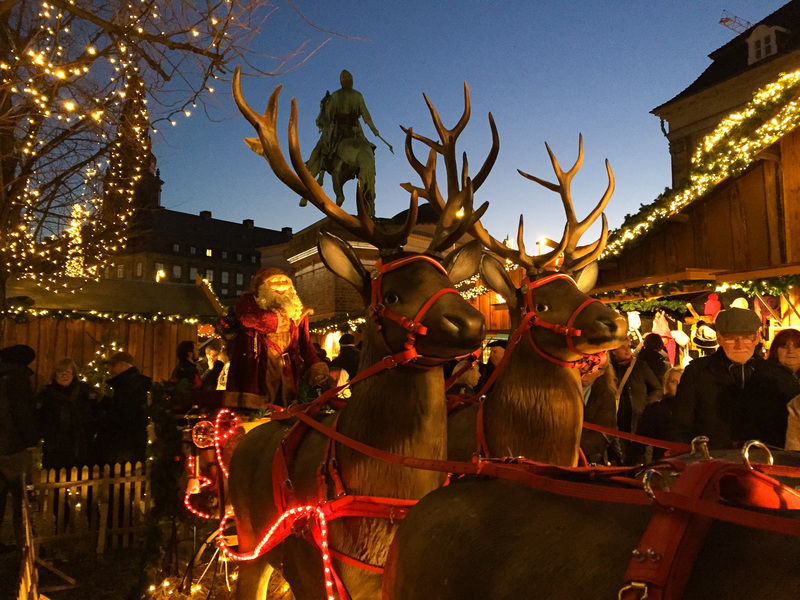 Yet another central option is crowded Kongens Nytorv Christmas Market (open 16.-22.12.2018), which has a beautiful setting between the overflowing Christmas decorations of D’Angleterre Hotel and Magazin department store. By the way, D’Angleterre serves the fanciest glogg (mulled wine) in Copenhagen, if you’re in the mood! 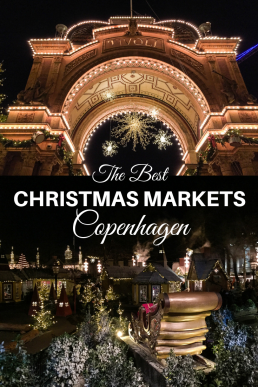 By now, you probably agree with us: Copenhagen has some of the best Christmas markets in Europe! Do You Love Christmas Markets? 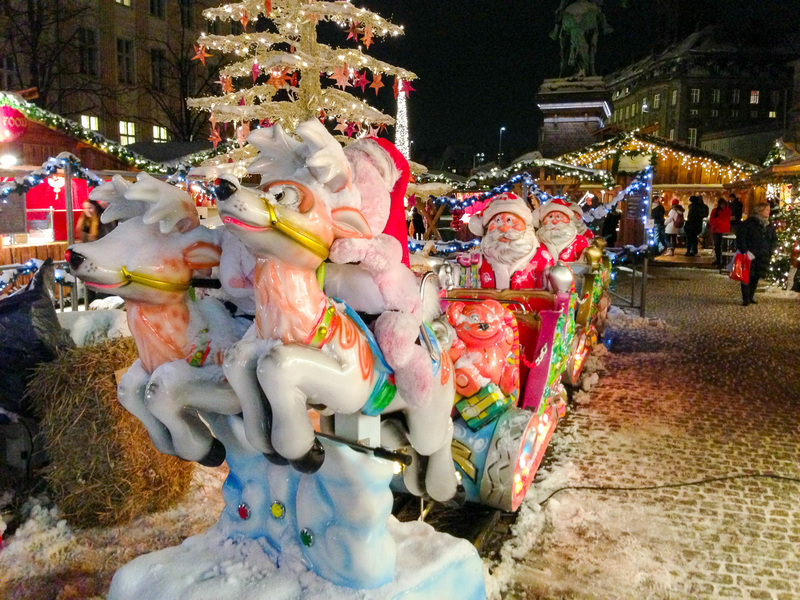 Within one month, we visited Christmas markets in Denmark, Austria, Hungary, Estonia, and Finland. As much as we loved them all, Tallinn’s Christmas Market remained as our all-time favorite, where we’ve even visited many years in a row. Check out our article about the charming, Medieval Christmas Market of Tallinn’s Old Town to find out why! Everyone comes here for the traditional, bazaar-like Den Grå Hal (The Grey Hall) Christmas market, also known as Christiania Christmas market. Stalls are located inside a former dressage hall, which is convenient if the weather is awful. The stalls have an alternative feel, carrying also other treats than Christmas handicrafts and decorations. In 2018, Christiania Christmas market is open from 8th to 20th of December. But the Grey Hall Christmas Market isn’t the whole story in here. Delight in the idyllic surroundings of Christiania, secretly photobomb the wooden hippie houses with Chrismas decorations and enjoy warm drinks in cozy Månefiskeren or some of the nearby cafés. Christiania’s Gallopperiet aka Stadens Museum for Kunst (Christiania Art Museum) is usually transformed into smaller scale julemarked (Christmas market) in December. Browse characteristic handicrafts along with bohemian art while enjoying warm drinks and live music in a relaxed atmosphere. Christiania Børneteater offers hilarious, old-fashioned elf performances every weekend during December. 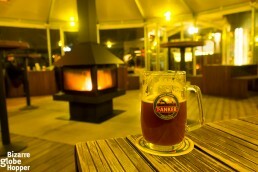 Productions are suitable for kids and adults, and latter may enjoy Christmas beer or mulled wine on the side. If you’re in Copenhagen during the first two weekends in December, tick off Kronborg Castle from your bucket list and get your Yule spirits rising in the traditional Christmas market, which spreads inside the courtyard and ballrooms. In 2018, the magic dates are 30.11.-2.12. and 7.-9.12. You read it right: this is Copenhagen’s gift to all beer lovers! If your visit to Copenhagen coincides with the first three weekends of December, make your way to Visit Carlsberg, the factory and adult playground of the world-famous Danish beer. Brewer’s courtyard hosts stalls selling Danish Christmas delicacies (roasted almonds, æbleskiver, and snacks), gift ideas, and naturally: special mulled beer! In 2018, Carlsberg’s Chrismas market is open 1.-2.12, 8.-9.12., and 15.-16.12. 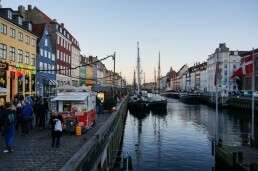 There’s even a free shuttle service from Copenhagen Central Station: read more on Carlsberg’s site. 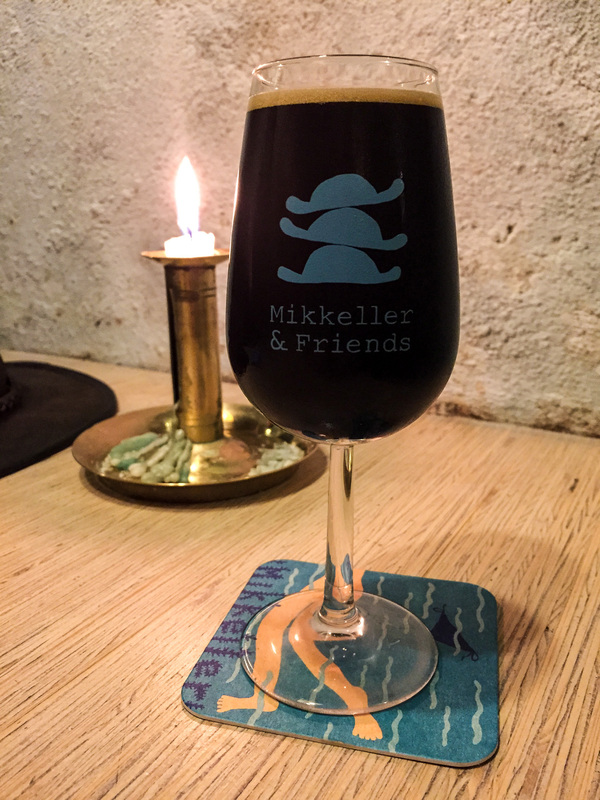 Sampling Christmas Brews at Mikkeller & Friends – my favorite brewery pub in Copenhagen! The pedestrian street Strøget offers some serious present shopping opportunities. We don’t quite understand the Christmas shopping frenzy but enjoyed popping in the LEGO Store (Vimmelskaftet 37) to see a different take on Santa’s village and his sleigh. The side streets of Strøget have some alternative shops that fit our taste better. 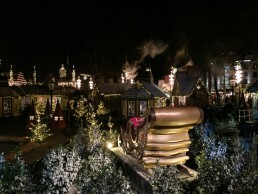 After visiting the best Christmas markets in Copenhagen, you still have one Christmas time must-see. Copenhagen’s oldest gay bar Centralhjørnet (Kattesundet 18) is famous for its overwhelming Christmas decorations. If you haven’t yet tasted Tuborg Christmas Brew, do it here. Bizarre fact: Tuborg’s Christmas brew is sold only for ten weeks but comes up as the fourth best-selling beer in Denmark. An adorable Danish microbrewery Mikkeller has two brewery bars in Copenhagen. A larger one, Mikkeller & Friends, is located in an upcoming hipster neighborhood of Nørrebro (Stefansgade 35). They have 40 daily changing beers on tap, and 200 more in the adjoining bottle shop. We sipped some interesting Christmas brews, both from Denmark and abroad. Tasting the latest brews at Mikkeller is always among our favorite things to do in Copenhagen. If you’re extremely short on time, now you can do it also at the Copenhagen airport. The best news: Mikkeller’s airport bar & bottle shop is always open! This is the easiest tick, as Irma’s are found everywhere around the city. We were stunned by the wide organic selection and stocked on snacks, raw chocolate bars, and handcrafted beers. Irma Supermarket is the place to buy edible souvenirs from Danish gouda to pastries and sweets. We happily stumbled on a Christmas beer sampling session, too. 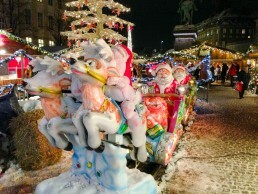 What are your favorite Christmas Markets or other things to do in Copenhagen during Christmas time? Where have you spent the most memorable moments: in the alternative Christmas venues of Christiania, atmospheric Tivoli Gardens, or at Copenhagen’s traditional Christmas markets?